New beginnings have always been challenging for Leo. He’s never been a kid to enter into new activities willingly, even new activities that he asked to join. He had difficulty when he started preschool. He hated his first few weeks of gymnastics. He begged to stay home when kindergarten first began. He dreaded boarding the school bus for the first time. He refused to enter his first art class. He dragged his feet getting to his first piano lesson. When faced with a new start, Leo balks -sometimes many times- before he can embrace it. I used to think it was because he’s an anxious little guy, as he’s always been my worrier, and I also attributed it to difficulty with transitions. Yes, he’s a worrier and yes, he can have trouble with transitions, but over the last couple of years we’ve learned there’s more to this story. There’s always more to the story, isn’t there? Well, this story involves the fusion of perfectionism, fear of failure, and the gifted child. When Leo was 5-years-old, we signed him up for town league soccer. He had expressed an interest in playing and so we went with it. Soon after the sign-up, I received an e-mail on soccer league rules. 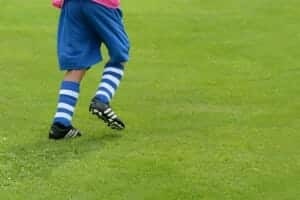 The e-mail stated that young children were required only to wear shin pads, sneakers, and athletic clothing. It said, in italics: Cleats are not required. That was good news, as I didn’t want to invest too much in case he hated soccer, plus finding cleats for tiny feet is not an easy task. And I know this because of what happened when we arrived at soccer. Read on, my friends. That morning, Leo was restless. He was both excited and nervous about soccer. He had a ton of questions. He just wanted to get there already. When it came time for that first practice, he appeared ready. He had on a t-shirt, athletic shorts, shin pads, and his sneakers. But, when we arrived at soccer, we were met with an agglomeration of 5-year-olds outfitted for the World Cup. Everyone had cleats, folks, and soccer shorts, and soccer shirts. Leo arrived on the field, took one look at the situation, and balked. He pitched an epic fit and refused to participate. He kept shouting at us, “They have cleats! They know how to play already!” and he refused to set foot on that field. The scenario repeated itself the following week, even though I had managed to secure teeny-tiny cleats through a friend. Leo refused to set foot on the soccer field during practice those first weeks, but I caught him playing at home. When he didn’t think anyone was looking, he’d grab a ball and practice by himself. If he thought I was watching him, he’d appear guilty and stop, but he always returned to it. The next time we went to practice, he not only stepped on the field but he also played. And he loved it. The soccer situation elucidated something for me: Leo is a perfectionist and, as a perfectionist, he is afraid of failure to the point of complete immobilization. He will assess a new situation, determine his risk for failure, and refuse to participate if he doesn’t think he can do it well. And I should know this by now. After all, this is my zero-to-sixty child who goes from not doing something to doing it well overnight. And, do you know what? Nana and Papa caught Baby Schizz, who was a very late talker, practicing speaking in sentences in his crib. There’s that proverbial apple again! 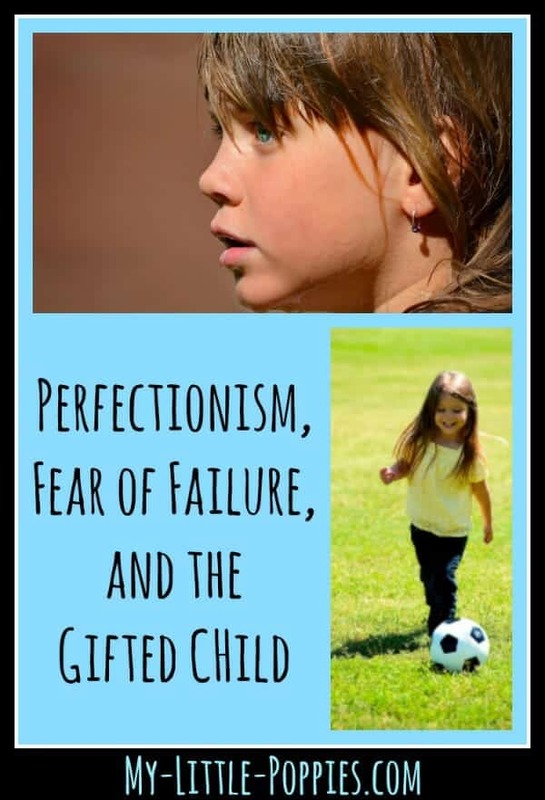 Perfectionism is a common gifted trait, mentioned repeatedly throughout gifted literature. Perfectionism, properly channeled, can be an asset as it can drive a child to be motivated and to work hard. However, perfectionism has a dark side, too. Perfectionism and its partner-in-crime, fear of failure, can contribute to task avoidance, underachievement, and a reduced self-concept. Gifted children are often said to have a heightened awareness of the world around them, and that includes an awareness of their risk of failure in a given situation. When Leo walked on that soccer field that first day, he took one look at his peers in their World Cup garb, and then at himself with his well-worn sneaks. In seconds he determined that his risk of failure in that situation was too high. At home, in secret, he practiced until he felt he could play soccer at a level where his failure risk was decreased. And, at that point, he loved it. He still loves soccer. I’ve seen the soccer situation play out so many times, in so many other situations. Over time, he’s learned to cope better with his anxiety. He’s matured. He is better able to discuss his feelings. He is aware that he has a pattern of balking at new activities that he knows he will love. He’s also at an age where I can often drop him off, wish him the best, and leave him there. He tends to do better when I’m not there when he’s left to his own devices. He says so himself. Did I tell you guys I’m a team manager of a Destination Imagination team? I didn’t really want to be a team manager. I love kids, I love to volunteer, I am fascinated by STEM, and I think DI is a wonderful program, but I have zero desire to manage a team with Leo on it. Zero. Why? Please see above. If there was ever a kid who would love DI, it’s Leo. He spends his free time building, creating, and inventing. He has a brain filled with amazing ideas, and he rarely thinks inside the box. Also, Leo often thinks that his idea is the best idea. He needs to learn that he’s not the only guy with great ideas and that great ideas can become even greater when you collaborate with others. DI is a perfect way for him to capitalize on his strengths while working on his weaker areas. So, when I heard that there was no Kindergarten/Grade 1 team, because no one had volunteered to be a team leader, I reluctantly said yes. And I have new friends who promised to help me out and they have- big time. Thank goodness for new and understanding friends who I hope will still be my friends when this DI drama is all said and done. We just had our third DI meeting last week. Does anyone want to venture a guess as to how managing DI is going right about now? I can give you a big hint: last week’s meeting, which took place at our beloved library, required a pre-dinner return trip to the library to deliver several apology notes from all three little poppies. Our time at the library was anything but still last week, folks! Want to see the games we are playing (and the books we are reading) each day? What about you guys? Do you have a kid who is a perfectionist? Has your family experienced an almost immobilizing fear of failure? Please share your stories here (as well as any DI survival strategies!). Have no fear of perfection- you’ll never reach it. This description could be ME as a kid (and unfortunately, still quite a bit as an adult). Going into anything new, I would overload my mom with questions, usually related to how others would perceive me, or how I would fit in: “Will the other children be in pink leotards?” “Do I have to have ballet shoes and jazz shoes?” “How many other kids will there be?” Sounds like you are doing the right thing for your little perfectionist and letting him slowly warm up and helping him take steps to manage his anxiety. Makes me very happy! 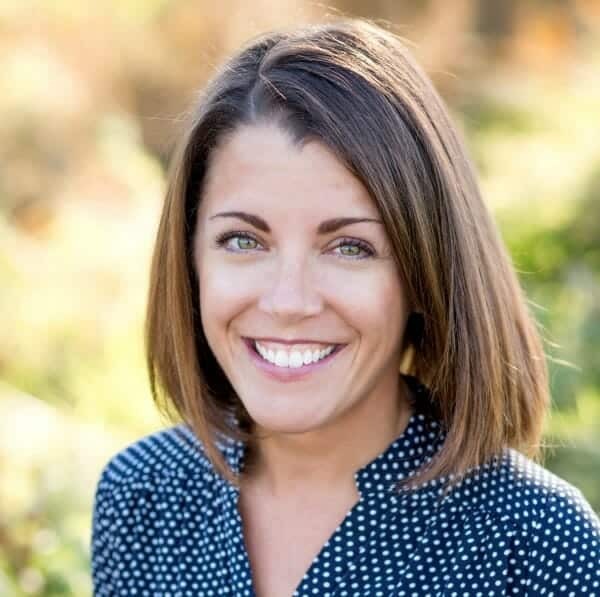 Thank you for sharing your experience with perfectionism and fear of failure, Laney. It helps to hear from folks who have been through it. I’m hoping we can help him see these pattterns soo that, with time, they get easier. Thanks for reading! I couldn’t have come across this article at a better time! My son is a gifted, perfectionist, 1st grader as well and we’re dealing with soccer anxiety right now (again). Every time we sign him up for a new sport/activity he’s expressed interest in, the million questions and anxiety begin. 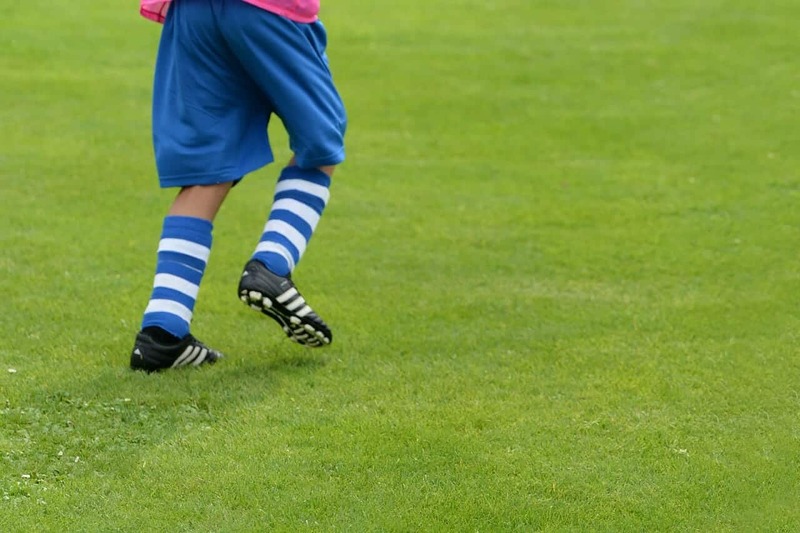 This year, however, the soccer season anxiety seems to be more heightened than usual. He’s nervous that he won’t be as good as the other kids, they’ll all know each other already, the coach won’t be nice, etc. These are not new fears and every time he ends up really enjoying soccer and dies very well. His anxiety has erupted into crying fits this time though and my husband and I aren’t sure how hard we should push this. We know it’s just his fear of failure and new situations and don’t want to let him get out of things we KNOW he enjoys because of this. Heidi, it’s the worst. They are visibly in pain but you have to push through because you know they will love it in the end. I keep telling myself that it’s so important to encourage resiliency. You can’t run from everything that scares you. You learn from the trials, failures, and bumps in the road. That said, with the sports thing, part of it is also our culture. Why should six year olds look like they are playing in the World Cup, you know? That’s some pressure right there. Sporst should be fun at this age 🙂 I hope your soccer anxiety eases soon and that he enjoys it asap! Thanks for sharing your story with me! I recognize my son so much in this. He’s 6 and gets so nervous about new things. Usually, his nerves focus on “I’m going to be terrible at this” and it’s SO hard to hear. We support and encourage him and let him go at his own pace. Sometimes that pace is fairly brisk and sometimes it’s PAINFULLY slow. Developmentally, he had a pattern that should have predicted this kind of behavior. He’d do things on the late side of normal (walking, talking, potty training, etc.) but once he started, it was all in. He didn’t just take a couple wobbly steps and sit down. He walked all the way across the room and ran the next day. He didn’t just start saying a few words here and there, he used sentences right off the bat. He was 3 1/2 before he decided to use the toilet, but the day he finally decided to use it, he said he was done with diapers. He never wore another one and literally never had an accident. Glad to have discovered your blog. It’s nice to read stories that I can relate to – which isn’t often the case with our sweet son. I had no idea how isolating parenting a gifted child could feel. Hi Julia. I’m so happy that you stumbled upon us! Our boys sound remarkably similar- especially with regard to development. You should read my post “Profoundly Gifted Guilt: Zero to Sixty” because what you are describing is exactly what we experienced. It can be extremely isolating to go on this path alone. I am thankful every single day for the internet because there are so many kindred spirits out there. I hope you will continue to keep me updated as to how your little guy is doing! Thank you for reading! It’s funny that you write this, because while I don’t see so much of it in my children, I definitely see it in me. 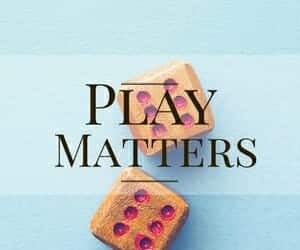 My eldest daughter is my observer – she likes to watch what’s happening before actually jumping into anything and my youngest daughter just goes head first into any activity (sometimes too hastily for this anxious mama!) I am the perfectionist, but I was so afraid of failure that it never seemed apparent. Instead of striving to do better, I would hide from the world and I avoided as much as possible. Like you said, I think it has something to do with just being hyper aware of the world around us. There was just too much to take in. 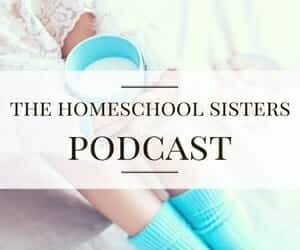 Your eldest sounds like my daughter and your youngest sounds like our youngest 🙂 It’s great that you recognize perfectionism in yourself because if it starts to pop up in your kiddos, you’ll know exactly what it is 🙂 Thanks for reading, Jen! This really did make me LOL! It sounds so much like our experience with t-ball. Except she had to have something pink on at all times. Including a giant pink batting helmet. Always. My daughter struggled mightily with perfectionism when she was younger but thankfully, it’s gotten better. Except for sometimes. I wish you all luck with your DI team! Hi Common Mom! I am so glad to hear this gets better. Baby steps, right? I am happy to report that DI was a success today. A totally different kid. Here’s hoping it sticks. Thank you so much for reading and sharing your story- love the image of the big pink batting helmet! Wow…what a great post and I love the comments. 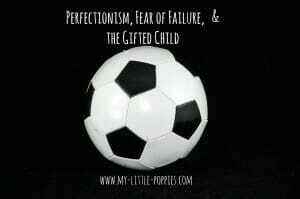 Our son is the same way…perfectionist, fear of failure and gifted. School got so bad that he developed a tic before fourth grade started which is when we decided to homeschool. That too has been a challenge. He does great in all his subjects except math. Math would bring on full blown panic attacks when he didn’t understand something. Counseling has helped a bit but the panic finally pushed us into formally testing him (which of course brought a whole slew of anxiety). It turns out he is gifted in all his subjects but processes math at an average speed. Being gifted he realizes he processes math more slowly then he does everything else. And being a perfectionist he got anxious. After his testing results we sat down and talked with him about this and it has made a HUGE difference. He still gets anxious but we haven’t had a panic attack in 2 weeks. For us just having the knowledge about how his brain works has been really helpful. And knowing there are other families out there dealing with the same issues we do makes us feel not so alone. Thank you so much Cait for this wonderful blog!!! I am so glad you guys removed your son from that setting, the poor little guy. It must be so incredibly difficult to be gifted across the board but then have difficulty processing the material in one subject. I think that as a whole our schools test far too much, but as a school psychologist I think there is such a value in a thorough 1:1 evaluation when there is a question about a child. I actually have a post coming out for a Hoagies blog hop next week on this topic. I’ve seen so many kids riddled by anxiety when they are at school and it is wonderful that you were able to remove the stressor and I hope that there are much better days ahead for you all. I’m so glad that this post spoke to you and I’m happy you’re here. There are so many kindred spirits out there but no one wants to talk about this stuff. I’m glad you shared your story! I agree about the testing too much but not testing appropriately. I wish we had him tested by someone who tests gifted kids. We are in rural AZ and I was happy to find someone in Phoenix that did testing at all. But I do think someone who understands gifted children would have given us an even more complete picture. Oh well…happy to have what we do. I will look for your Hoagies post in the blog hop. I look forward to hearing more about this!!! I know a bunch of this is me, and like you said about that apple and the tree, well, a lot of it is Mad Natter, too. He was a late talker, and when he did start talking, wasn’t happy with just two or three words, he needed five or six. Usually repeated, loudly, at two. We deal with these issues with education, oddly, despite homeschooling, while sports remain No Big Deal. I suppose all the seasons starting this year will tell the tale, though – apparently six-turning-seven is The Big Year for competition, and that’ll be when we see whether he’s able to keep his attitude. As it stands, he is incapable of losing (which makes the “we don’t keep score” nature of the programs priceless), and if he thinks he/his team is losing, has been known to collapse to the field/ice in tears. I’m more than a little worried about what will come when competition actually enters the field. My daughter started guitar lessons this year. The teacher is fantastic, and he quickly zeroed in that for her, the goal is to KEEP GOING if you mess up. Don’t dwell on it, don’t stop, don’t pitch a fit, just KEEP GOING. Kind of a critical thing if you’re playing together with someone else. After 6-7 months of lessons, she’s starting to “get it.” She still doesn’t LIKE messing up, but she’s recovering from it more quickly and many times, is able to keep going and move on. Very perfectionistic, and very competitive. This week, the teacher said, “You are very competitive, aren’t you?” Daughter says, “No, I’m not competitive. I don’t like to lose!” HA. I’m giggling over here, Carrie. Your daughter sounds like someone I know 🙂 Love that you have a great match for her guitar teacher. That is huge! It is so great to read your blog. I recently learned my son, Leo, is also highly gifted and has some significant ld’s in the form of dyslexia and central auditory processing. (he also has a sister 2 years younger than him) This post could have been written by me, except you put it much more eloquently. We have had so many of the same issues. Perfectionism is an ugly beast and I am really hoping to find a way to turn it into a powerful tool. I look forward to reading your posts on how you have approached the perfectionism monster and found ways to turn it into something good. My son is turning 8 in a couple months and we have been homeschooling since I pulled Leo from Kindergarten after about 7 months. 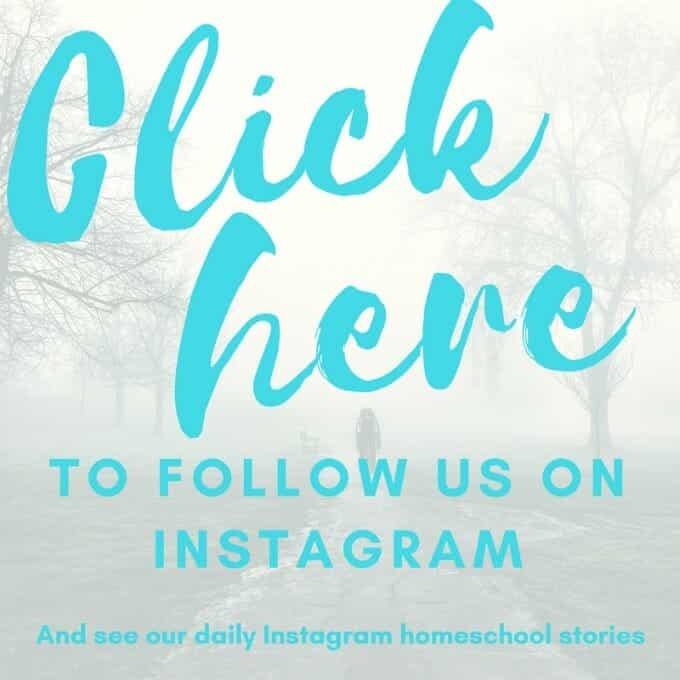 The recent testing has helped me better understand Leo and I feel hopeful that our homeschooling situation will improve with this new information, but for now I feel we are on shaky ground. Thank you for being a beacon of light and inspiration along our journey. I really enjoy reading your stories and Leo you look like one amazing kid! First of all, thank you so much for your kind words. I read them the day you posted and they warmed my heart. I started this blog on a whim because I wish I had found something like it when I was in the thick of it all. It pleases me to know it has helped you, too. And a Leo! They sound similar. I have some more posts planned about perfectionism and the associated anxiety. I’m a slow poster lately (and, clearly, a super slow comment responder) due to construction at home. We are out of town and this blogger is failing at using the iPad 🙂 I’m sorry it’s taken so long to get back to you but please know your comment made me smile. I hope that homeschooling is the answer for you, and that things calm down soon. They did for us and I hope the same for your family. Please keep me posted! Oh my gosh this sounds like my son! He has terrible anxiety over doing new things or doing old things that have become more difficult to the point of shutting down. He also thinks he is the best at many other things. If he feels he can not do something perfectly from the beginning, many times he wont even try! It is hard to know how to handle these types of situations and to help him. I think this description describes my son – a lot. He is anxious in everything and that explains that he has this perfectionism causing not to try something new. He refuses almost every activity that caused me angst. Thankfully that I understand that his anxiety was the effect of perfectionism. I had been there though when I was a kid, so I can relate even in my age now, there’s a moment that I am anxious about, so I have a supplementation that ease the anxiety and enhances brain function. Thank goodness you have understood him from the get-go, Karen. He’s luck to have you! Thank you so much for reading! We are experiencing classroom meltdowns with my 2nd grader. I have head from the teacher every day this week abut her “poor” behavior. My daughter has tested 96th percentile in Math and Reading, with a DAR of 40 since 1st grade. She just recently scored 95th percentile on a GI test. Narrowly missing the requirements for a full time gifted program. She was however offered a spot in the PTP (primary talent pool) at her own school (just 1hr/week with a g&t teacher). My daughter has always had difficulty transitioning between activities. And more and more is reluctant to try new things. At school she is refusing to do her class work, answer questions and/or participate in class. She will start pouting, grunting and crying. I am wondering if this is because she has a fear or failure? Sadly her teacher has decided to remove her from the PTP program stating that my daughter is “not ready”. I am torn with this decision as I thought this would have been good for her. The unfortunate thing is that when the children are pulled out for PTP they are expecting them to jump right back into the regular class work without missing a beat. I’m not sure that this is a fair expectation as it adds unnecessary stress. So as it stands she will no longer be in ptp but they will reassess for next year. For now she needs to change her behavior. I’m just not sure how to help her with this. If it is in fact a fear of failure how do I help her calm herself down, deal with her fears, participate in class, and not be so hard on herself?What can I say to her to help her? I can imagine how embarassed my daughter felt. She must have felt so missunderstood. Whatever feeling she was having at the time that made her so upset were just ignored. How do I help her teacher better understand and react in a more appropriate manner? I’m so sorry that you are struggling with this, Nadine. 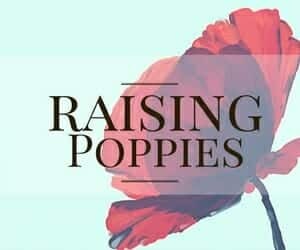 Are you in our Raising Poppies group on Facebook? I think you’d find many kindred spirits. The trouble with giftedness is that many don’t fully understand it. That includes many educators. One of the hallmarks of gifted children is asynchronous development and you never know what age you are going to get! I vividly remember going on a scout camp for the first time when I was about 8. We all got a checklist of stuff to bring. X t-shirts, warm clothing, boots and sandals, flashlight… and 20 clothes pegs (to dry wet clothes…). Now we had a tumbledryer at home so my mom didn’t have boxes of them laying around. She managed to find 20 which would have been fine if it weren’t for the fact that my brother was also going. We were in the same group and it was not going to rain for the next 2 weeks so my mom said it would be fine if we had 20 to share. I threw a fit. I didn’t want to go. I spent the whole camp worrying that we might need it anyway and that I wouldn’t have them, I was homesick, I cried my eyes out begging the leaders to let me go home. I didn’t, not that year, not the 15 next summers. I got tested when I was 6 and again when I was 14. People called me a worrier. Gifted children worry because they ask questions that most adults don’t even ask themselves. It messed me up pretty badly. I worried but at the same time everyone around me gave me the feeling that if there was one person that shouldn’t worry, it was me. So I made every possible effort to try to hide my insecurities. I have written stories that people wanted to publish, I’ve painted stuff that I thought was absolute rubbish but people begged me to let them buy it. I’ve spent 5 years doing volunteer work with disabled kids, I’m a black belt in judo … I also dropped out of college twice, spent 2 and a half years in therapy and 2 weeks ago I celebrated 1 year of sobriety. I’m now once again in college, I’ll be a teacher in 2 years. I learned in therapy that I don’t need to worry, that I have to let go. But asking that of a gifted person is like asking a baby not to cry. I love this story! Thank you so much for sharing it. I so needed to read this article. We homeschool our oldest and He fits this description so much. I so desire to see him free from anxiety and he wrestles so hard with new things and liking the idea of them but then freaking out when we get there. This past week even we have dealt with such random seeming emotional outbursts when things don’t go how he expected them to and i’ve been so frustrated. He memorizes and understands crazy concepts in some things and then i feel like I’m beating my head against a wall with other basic skills. So reading this article just reminded me how he wrestles with doing things perfectly or not doing them at all and how that affects his ability to try. I never thought about the gifted side of things but maybe I should look into that more. Right now we just try and break things down into little chunks, sit with him and let him have his emotions, not minimize but not feed it either. But it is so hard to watch him wrestle at times. so thanks so much for the tips. You aren’t alone, Lindsey! You are doing all the right things. Keep on keeping on <3 I hope the tips help! My son, the gifted and talented kid who has an IQ within the extremely gifted category as well as other aptitude and achievement tests. I know some parents who request an evaluation (sometimes several times) because they have high achieving smart kids. Those kids most likely have not met the criteria for the exceptionality of Gifted/Talented. I personally know these families. With my subjective thoughts, why do they do this…why do they want the label for their child…do they think their kids will get advantages and acceleration opportunities? How much research have those families done? I state this because when my son’s school suggested he be tested my husband and I were both proud to be honest. After reading and learning about this exceptionality and the struggles, challenges, and possible underachievement that could manifest, were somewhat hoping that he was not at the top of the scale. The surfaced issues before and after his identification. Infant/ toddler- signs of extreme intelligence. Recognized by many others. We were first time parents and didn’t have a clue of typical vs a-typical. This extended into preschool and Kindergarten. 1st grade, mid year: behavioral issues at home only (now that is a blessing). Welcome to our world of meltdowns. Frequency, intensity, duration increased throughout the school year. We tried many interventions with consistency. It got to the point where it started to affect our 3 year old daughter. Our family was in the direction of disaster. Should we be angry over this (of course not) but clearly we were well past our frustration threshold. Here is ONE “watered down” example. It appeared that he melted down when something didn’t go his way. Meltdown over things that he was interested in and liked. Particular things he would be fine…same particular thing he would melt down. Sometimes for 45 minutes. No joke. My husband and I were out of strategies and we were too emotionally involved. It was time to seek outside-objective feedback. We located the highly recommended child psychologist in our surrounding area. We learned it was emotional difficulties and triggers vs behavioral choices. 7 year old with GAD, perfectionism in the area of failure of things around more so then self- performance. He is very perceptive and can recognize the injustices of society and the environment around him. The key problem is we have the cutest and lovable son who identifies things at an adult level and thinks like an adult however, his emotional intelligence and level of self-regulation is that if a second grader. He understands the issues of environmentments beyond his second grade scope but he is unable to control those things. Descision making abilities… No way! “If I make a decision it may be the wrong one or not the best one”… fear of failure. IDEA should add this ( DMD) to the list. Since June, he has been meeting with a therapist (he thinks it’s an extracurricular activity like soccer). He has made a great connection with her. Slow progress but some. It will take time. Thank you for sharing your story. I could relate to so much of it, as can so many parents of kiddos like ours. Are you on Facebook? If so, I encourage you to join Raising Poppies. It is a closed group for parents of kids like ours. You’ll find wonderful support there and so many kindred spirits. Aw, Julie. Big hugs to you. Have you joined our Raising Poppies Facebook group? So many kindred spirits there to make you feel less alone! I am in the group Raising Poppies and it is a great resource. Thanks! Thank you so much for the feedback! We love the Raising Poppies community! I have a soon to be 9yr old son and some of your post resonated with me. It’s a Monday and I can’t get the weekend off my mind. My son had a hockey tournament over the weekend. He is a perfectionist in a lot of ways and that is what made me compelled to post this as it relates to your post. He was asked to play a position he normally doesn’t play and right off the bat he saw success for the first few games but come Sunday he was faced with a penalty and he made a (terrible mistake on a play that resulted in a goal) he literally had a melt down and this isn’t always what comes with failure its more of sulking but this time he was very combative while sitting on the bench after his shift. His hockey program doesn’t have a bunch of screaming coaches there is no repercussions for making mistakes honestly they are embraced and used as learning/teaching opportunities. He was our first and I spent a ton of time with him early on focusing on how to behave and how to treat others, himself and manors are huge for us. He is an exceptional child I wouldn’t trade him for the world. I am just struggling with this now and I want to help. I tell him that everyone fails that I fail countless times but I don’t let it get me down and I learn from it. He never was afraid to try things or to get on the ice or field because of a fear of failure so that is where he differs from your post. His struggle is once out there he plays tentative only to avoid making a mistake and it holds him back from enjoying things to the fullest and the pressure he puts on himself takes an exhausting toll on him. Whenever I’m struggling with my kiddos, I rely heavily on books. There are so many fantastic books about people who have failed. Everyone fails! A storybook featuring failures and successes could be helpful- plus the conversation you have while reading the book together. If you think it is something more, it’s worth it to get him in counseling for a little bit. Whenever my son’s anxiety spirals, we head to counseling for a little bit and he learns so many useful tools and coping strategies that will help him for his whole life. My daughter is almost 10 years old. She is a very smart quirky kid. I was looking on the Internet to try to find out why she is so afraid to make a mistake. Her teacher has really noticed in school that if she doesn’t know how to do something she gets very upset. Yesterday her teacher did not have time to help her with a math and reading assignment. So she started crying a little. It turns out that she exceeded expectations on the assignment. She does have anxiety. She gets so frustrated from new things. I read this article and I am wondering if my daughter is gifted. What should I do to find out. 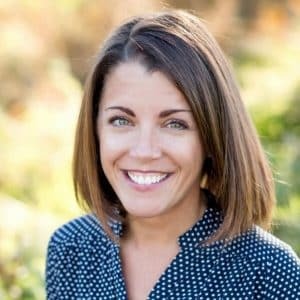 I want to help her be successful but don’t even know where to start. This sounds a lot like my 5 yo daughter. She has always excelled in everything and has loved going to her Pre-K that she has been going to since she was 2. In the last week or so she has been obsessing of making mistakes at school. She forgot to put her lunchbox and folder where they go one day, and ever since she cries at school when she thinks she might make a mistake. It is puzzling! Now she says she doesn’t want to go to school because she is afraid she will make a mistake. Her teachers say they noticed that she is crying and unsure of herself more and she never used to cry. They also try to reinforce that they are not mad at her and that she is not in trouble. Not sure what else to do at this point. Thanks for any advice! Aw, poor thing. Kids can be so hard on themselves. I would sit down and have a chat with the teacher and come up with a plan for addressing this. 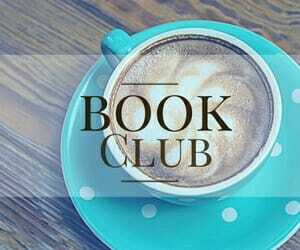 Read some great books, talk about it together, and if all else fails try counseling for a bit. A couple weeks with a great counselor can often flip that switch. I know this is an old post but it is similar to what I’m going through with my 7 year old right now. She asked to take taekwondo. First class she was doing great. Then they started doing combinations and she broke down. Started crying and couldn’t finish class. She asked me to take it with her, so I joined. Second class she started to feel overwhelmed again but she took out her fidget cube and calmed herself down. Third class, had a complete break down and said she wants to quit. She says it’s too hard. This kills me because she’s actually really good. She’s not as good as the 6th degree black belt master and she punched with the wrong arm one time so in her mind she’s a complete failure and can’t go on. She just finished 1st grade and she had so many struggles. It took her nearly the whole year to get comfortable in her room. At least she goes to a Montessori school, so she only changes teachers every three years. She starts swimming lessons on Monday and she’s made it clear she doesn’t want to go. I feel so mean making her do things that are so upsetting for her. She’s always been like this. She walked on her knees for months. We had her evaluating because at 16 months she still wouldn’t even try walking. Then one day she walked across the room. She will not try anything if she thinks she can’t do it well. If I push her, I’m afraid she’ll hate me, but if I don’t, she’s missing out on so much. Well, parents out there? I have a 25 year old that (reading this article after searching “my son has a fear of failure”) has this challenge. I never linked it to his giftedness. Now it ALL MAKES SENSE. But now…how to help him? Fourth grade assessment tests put him post college for problem solving, math and logic. His an IT director (because he’s free to be creative and loves to help people, solve problems and make things easier for others). But! It takes him forever to adjust to new things in the social area…it’s like he is way to hard on himself. And to make things worse, he grew up with me as his mom (no fear of change, encourager, leader, etc). Thankfully, he doesn’t hesitate to explain how and why he feels the way he does about situations he’s in that are outside his comfort zone. But what is the solution to ease the pain of this monster that’s in their head (fear)? What type counselor is best for our gifted family members and friends (from 2 to 82 years old)? They have so much to give (and solve) for this world, yet the very thing that seems to be the blessing ~ is a monster in their minds and they can be paralyzed. My son sounds just like what you describe. He has a few chronic medical conditions that are complicated that only add to his anxiety. He is in first grade and has real homework (beyond reading a story aloud) for the first time. The homework is typically not difficult for him, but any mistakes leads to a total meltdown (breaking pencils, crying, etc). Something as simple as not writing a letter correctly will lead to misery. Any suggestions? Brave Writer has been a great strategy for my perfectionist when it comes to writing! Thanks! Do you have a favorite book that you would recommend for me to read? We are working on a variety of techniques for calming him down to try to avoid the “meltdown”…. I have a number of books for him but nothing that I have heard about for me….. I like The Whole Brained Child, Simplicity Parenting, and Raising Your Spirited Child. Oh my gosh! I feel like this sums up my 9 year old. Every year when school starts it’s such an emotional tornado in our house. She’s a total perfectionist and always wants to quit everything, if she agrees to do them at all. She just got a letter saying she should be in GT at school, which she was initially excited about. Today she had a total breakdown when I went to turn in her paperwork. Getting her to explain her emotions is like pulling teeth, but she finally said that she was afraid it would be too hard. I asked what the worst thing was that could happen. She said “I could fail.” I asked “What happens if you fail?” She said “It’s like if I fail, I’ll just be a nothing.” This absolutely breaks my heart. 💔 I’m at a total loss. This isn’t new, but she’s able to verbalize and share more with me now. I left a note asking for a meeting with her GT teacher. I want to help her overcome this destructive way of thinking and realize that failure is not trying. I don’t know how to empower her and I might even call her pediatrician for advice. I’m just stumped. Just know you aren’t alone, Stacy! And… it gets easier with time. I promise! You’ve got this!